This inhumane and unjust government order has outraged dog lovers and owners throughout China. With very limited freedom of speech or action to protest against the order, people have still been trying everything possible to make their voices heard. The Chinese government authorities, however, have also been working hard on muzzling people’s voices. Even t-shirts protesting the crackdown have been banned by the police! The t-shirt had a design with an image of a dog and text “Dogs didn’t do anything wrong, NO to the crackdown on dogs”. One seller of such t-shirts, as shown in the picture, was contacted and threatened by the police until she had no choice but to finally stop selling the t-shirts. Don’t let their voices be silenced! We have made a new series of campaign T-shirt that you can own to show your stand! Please get a campaign T-shirt and say NO to the crackdown on large dogs in China. 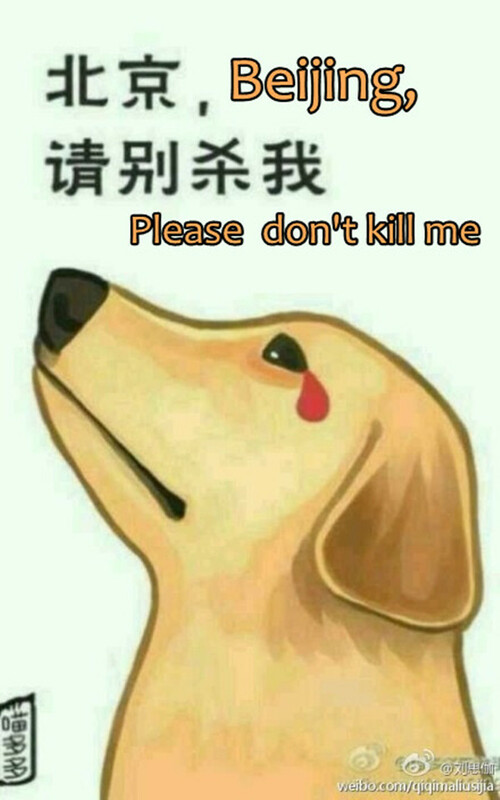 Please let all of the dog lovers and activists in China know that they are not alone! NOTE: 100% of the profits of your purchases will fund our activism work in helping animals in China. Please help us help animals! Please Stop the Inhumane Dog Restriction! Sales tax or VAT may apply depending on where you live. 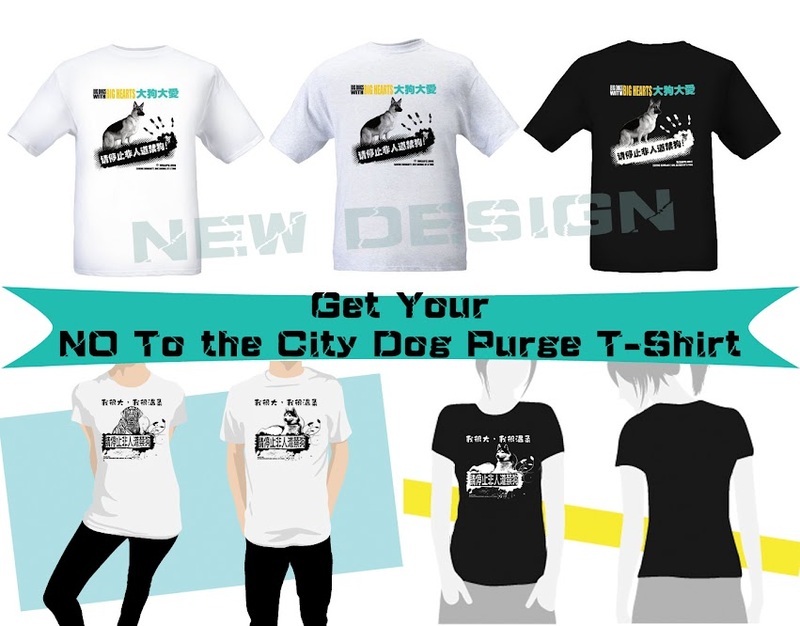 More choices of dog breeds on the T-Shirts will be available soon. ← Is This the End of All of the Large Sized Dog Residents in Beijing?